Note: Please read the following instructions carefully before filling up the convocation application form. 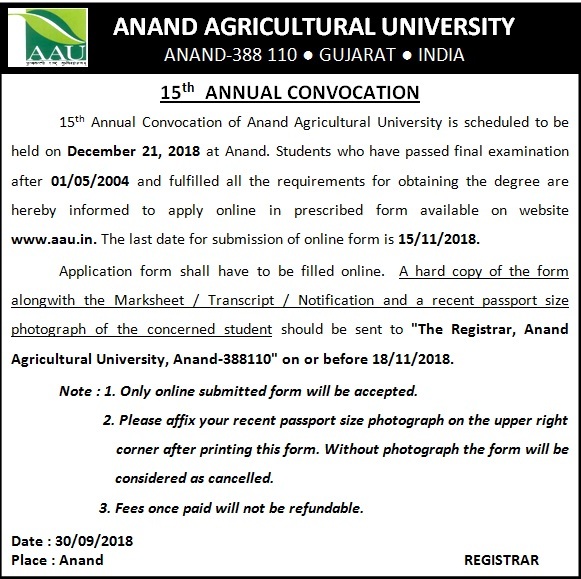 (a) 15TH CONVOCATION 2018 – For current year passed out student. (b) 15TH CONVOCATION 2018 (PREVIOUS YEARS 2004-2017) – For previous years passed out student. 6. Fill form and submit it. 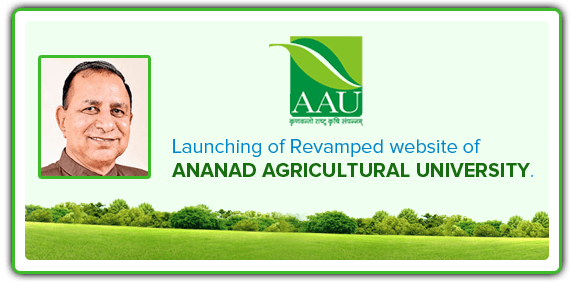 A hard copy of the online submitted form along with the Marksheet / Transcript / Notification and a recent passport size photograph of the concerned student should be sent to "The Registrar, Anand Agricultural University, Anand-388110" on or before 18/11/2018. For any kind of query related to payment, kindly visit the nearest Branch of State Bank of India.